Wasn't it the case that these deaths were caused by methadone with alcohol? Heard you on Radio 4 World at One. Well done Danny. Nice to hear a balanced view. Nice to hear a balanced view this morning. The graphic from the Guardian about deadliest drugs is wrong. When it says "cannabis fatality figures highly questionable" the author is knowingly not saying the truth, as he knows that those figures are not "questionable", but plain wrong. But if you go there and download the spreadsheet, you'll see that 19 is the number of deaths where cannabis was *mentioned* on the death certificate. It is not the *cause* of death, but it is mention on 19 death certificates - quite different, as in the other drugs the number does indicates fatalities caused by such drugs. I let the author know via Facebook and he assured me he would change it, but he never did, nor did he reply my following messages. I find quite sad that Transform is helping to perpetuate the myth that cannabis is a lethal drug. Very sad indeed, as that graphic was published on the wake of Professor Nutt dismissal with the obvious intent to justify Alan Johnson ignorance. I agree Tim, that did grate, but the general point being made is still important. I thought the stat was for 'mentioned on death certificate'. 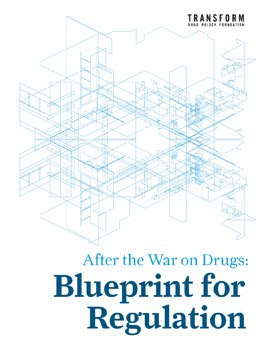 I have written a bit about problems with drug death stats on the fact resaerch guide, and there is some useful discussion in the ACMD report on drug deaths. It is of utmost importance that the sale of this drug becomes regulated as soon as possible. Prohibition is not the correct tool to achieve this. Prohibition can achieve little more than inflating the price or decreasing the purity. And at a cost that is generally radically underestimated. Check out the reasons for prohibition, given to you by our esteemed home office. 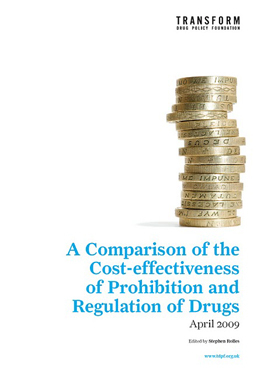 http://www.homeoffice.gov.uk/drugs/drugs-law/index.html Most of the ills mentioned are DIRECTLY attributable to prohibition, not the consumption of drugs that happen to have been placed in the Misuse of Drugs Act. 1. How many innocent people dying per year is an 'acceptable loss' in your war on drug users? Q1 is important because it is not only people intertwined with the illegal drugs trade that suffer. Completely innocent people do die and lose loved ones too, both because of the clandestine nature of the trade and the violence associated with the vast profits to be made - due entirely to prohibition. Q2 will contort the prohibition supporters neurons in unusual ways. It is funny to watch. And Q3 really is the big one. Unless someone can illustrate ONE example in support of a point of view, their point of view is complete bunk. Agreeing to differ is NOT AN OPTION in this instance. If the prohibition supporter cannot illustrate a single example of prohibition having a positive effect upon anybody, anywhere, then they are admitting to holding an opinion that is unable to be supported by neither evidence nor logic. Thanks for posting my comment. I don't suppose you could be so kind as to edit the glaring error I made in the last sentence replacing the word 'unable' with 'able'. Great job you and your colleagues are doing by the way. Whenever I have heard Transform give an interview, the individuals do so with great eloquence. I don't think we can edit comments, which is probably a good thing : ), so I've posted your follow up message. Brilliant article, excellent interviews. Respect to Transform, I hope you can clear take advantage of this current situation with Mephedrone to show the public that people are not criminals or just druggies and also to change attitudes towards the prohibition of drugs. I heard a story about a guy who bought a gram of meow. Assuming that a gram of meow was equivalent to a g of highly adulterated street "speed" this idiot took an entire 1000mgs 4-methcathinone at once. I mean, how idiotically stupid ARE some people? I snorted a weighed 200mg dose of meow in late 2009, It blew my head off. Excellent stuff. It's not for me, but if someone else wants to take it, that's their business. Or would the govt. rather they use far more expensive, weaker and unreliable cocaine? People will use something. Drugs have become an inherent part of our culture now. Perhaps before those idiot MPs bang on about banning analogue substances they ought to have researched the fact that Ecstasy/MDMA had in fact been illegal in the UK since the mid 70s. Meow is a cathinone derivative and hence not covered by legislation covering ecstasy, which is a psychedelic amphetamine. Why can't these MPs get some elementary facts right before they sound off and make themselves even bigger idiots than they already were? Great post.